2 large 2 bedroom self catering apartments, south facing. Haus Spencer occupies a lovely position near the centre of the village of Filzmoos. Filzmoos is an attractive, traditional Austrian village set amidst magnificent scenery at the foot of the Bischofsmutze Mountain and Dachstein glacier, conveniently located only 45 minutes from the beautiful city of Salzburg and in the heart of the “ski amade region”, Austria’s largest interlinked skiing area. Haus Spencer is ideally located within 5 minutes walking distance from the main Papageno gondola and nursery slopes. With guaranteed snow, owing to its location, the ski resort of Filzmoos caters for beginners, intermediates and advanced skiers as well as offering wide open spaces for snow boarders. Filzmoos is also perfect for those summer holidays, with temperatures soaring into the 30s and plenty of outdoor activities on offer; including, walking, mountain biking, horse riding, hiking, climbing, golf and fishing. Do please note that when parties larger than 4 are wishing to book, we may need to use BOTH of our apartments, meaning the rates quoted MAY be incorrect, as the system tries to lump you altogether into one apartment. Each apartment can sleep a maximum of 6 people, including the use of the sofa bed in each lounge. As we know what would suit each potential booking the best, we will contact you as soon as we can to help you further, and get the correct price quoted!! Bev and Rob worked in Finance for many years, but had always worked towards moving and working abroad. We decided to run an apartment house in a ski village to enjoy our passions of skiing and walking. Bev is originally from Swindon in Wiltshire, and Rob is from Hull in East Yorkshire. We had never heard of Filzmoos when the original sales email came in from the Estate Agent in the UK. However, a look around the tourist office website convinced us that this was a property worth looking at! We were not disappointed, as the house is central, near to the skiing, supermarket, restaurants and of course the doctor! We are set back from the main road, so we don't hear the traffic, meaning the house is peaceful and relaxing after a day spent skiing or walking or biking. In other words, we have a property in what we believe is the perfect place in Filzmoos. Our guests seem to think so as well, fortunately! Filzmoos village is a wonderful, family friendly place, and we have guests that come back time after time to recreate their happy feelings whilst on holiday year after year. The apartments are now decorated and equipped to our high standards, with new bathrooms and kitchens installed in 2012 and 2011 respectively. It is typically Austrian in style, and we think you'll like it!! New in 2011, it has everything we think you'll need! Filzmoos is a family ski village, and never too busy! We had an amazing and totally memorable time in Filzmoos with Rob & Bev at Haus Spencer! Such delightful hosts who made our stay extra special with all their thoughtful ways, especially at Christmas. Filzmoos is a truly magical village with so much to do, see and enjoy. 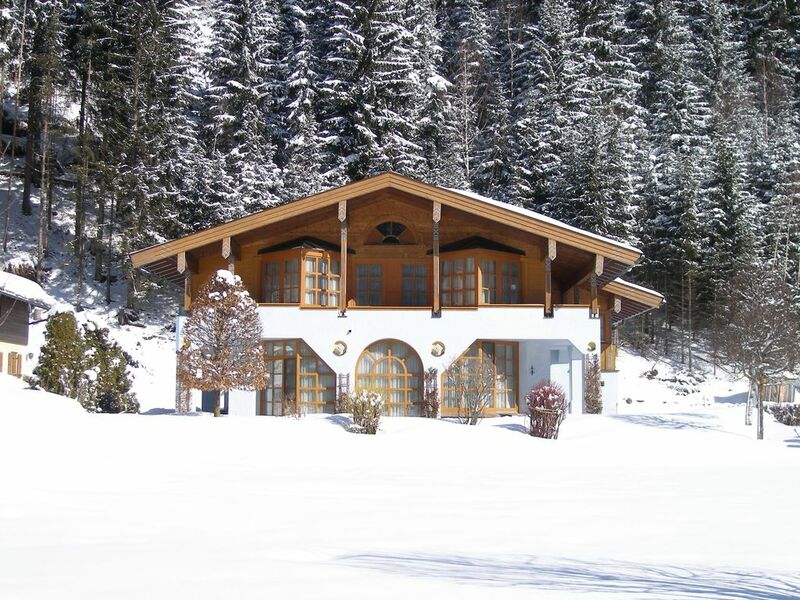 We would highly recommend Haus Spencer in Filzmoos for any season! It was an absolute pleasure having you here. We're so pleased you enjoyed your stay, and Bev and I hope that you will make the trip all the way from down under again to see us! Rob and Bev are wonderful hosts. Very helpful with local recommendations. The apartment is spacious and fully equipped. Right in the midst of a wonderful Alpine town and convenient to skiing and other attractions. You cannot do better! Very clean and modern flat with plenty of space for all of us - central location for restaurants as well as local walking routes and the summer cable car into the mountains. Only issue we had was the lack of a washing machine.Two weeks with three teenage boys cycling,swimming and walking - we needed a washing machine! "A wonderful place for recreation and mountain hiking in summer. Owners are very welcoming. The apartment is great for 4 people." Wundervoller Urlaub: Filzmoos toll, Rob & Bev sehr nett, sehr schönes Appartement - für Familie mit 3 Kindern (3, 5 und 11) ein perfekter Aufenthalt. Wir kommen wieder! Thanks Christian, it was a pleasure having you here! Looking forward to seeing you again next February! The car hire terminal is located directly opposite the main airport exit at Salzburg. After collecting the car you will pass the entrance to the car hire terminal on your left. You then need to keep to the left of the road following the signs to 'Vienna & Munich'. You will arrive at a set of traffic lights, taking the middle lane, go straight ahead then bear left proceeding directly under the underpass. Go straight over the roundabout and then take the slip road for the A10 Autobahn directly after passing under the next bridge. Follow the A10 to junction 60, signposted to 'Eben', and then keep to the left at the T junction. Go under the Autobahn then almost immediately turn left again signposted 'Filzmoos'. Upon reaching the roundabout in the centre of the village take the first exit to the right. Pass MPreis supermarket on the left and travel about 50 more metres and turn left immediately after 'Apartments Sieberer'. Haus Spencer is the last house on the left, approximately 40 metres from the road. There are 4 ski rental shops in Filzmoos, with the nearest to us being Sport Stefan, where we believe you will receive a personal service from the ski educated staff there, and being Haus Spencer guests, you will receive a 10% discount on all purchases. The rental shop is only a couple of minutes from Haus Spencer. They will cater for your entire ski, snowboard, cross country or toboggan hire. There are many trails that start and finish in Filzmoos. A good tip is to visit the tourist office in Filzmoos and obtain a hiking card and tour book for further information. There is a bus, known as the ‘walkers’ bus’ to take you to various locations. A timetable for this bus can be found at the tourist office. As long as the weather is acceptable, the Papageno cable car lift operates on Tuesdays and Thursdays, from 9am to 12 noon, and 1.30pm to 3.30pm. You can now take a mini bus from the Holzwurmhutte to the Schwaigalm mountain hut, returning to Filzmoos via the path or by the mini bus.